Have you ever reached a point in your life where you feel that you are on a hamster wheel running as fast as you can and the wheel just keeps turning and turning never stopping just going around in circles. No balance between your home life and work life. You feel totally exhausted from day to day living and you are not sure how to stop the wheel. Then I can help you deal with life's struggles, whether that be your relationships with family and friends or work colleges, including going through a divorce or coming to terms with a new chapter of your life? Do you want to make positive changes to the way you live your life? Are you looking for weight management to help you feel healthier? Do you need help with low mood or depression giving you that extra support to improving your over all quality of life? Do you suffer with anxiety,panic attacks and would like support in learning how to control them? Are you a new mum over whelmed with coping with a new baby?Would you like a better work / life balance giving you time for the things you love? If finding you is important, then feel free to contact me now. You we be welcomed into a safe, secure and warm environment where you can speak freely and openly. 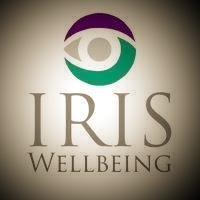 Contact me via email: joanne@iriswellbeing.uk or call me, I look forward to hearing from you. Making the first step to a new healthier, happy you!